Ridesharing companies like Uber or Lyft offer insurance coverage while you are driving with a passenger. For more specifics on what they cover and when, it is a good idea to check out the website of the particular company you're interested in driving for. Most auto insurance policies have a clause that prevents you from using your car as a carrier or delivery service, ridesharing included. That means you could drive to your day job and be covered like you would expect, but if you decide to pick up ridesharing clients after work, your coverage ends as soon as you indicate you are available for pickup on the app. There are a couple of insurance carriers that offer a solution for drivers providing rideshare services. The current solution for this gap in coverage is to get a ride share endorsement added to your policy. This will help if you get into an accident while you are waiting to pick someone up for a rideshare. Otherwise, it is something you could be solely responsible for. Many people are considering ridesharing services as a way to supplement their income, and insurance may not be the first thing on your mind if you do. 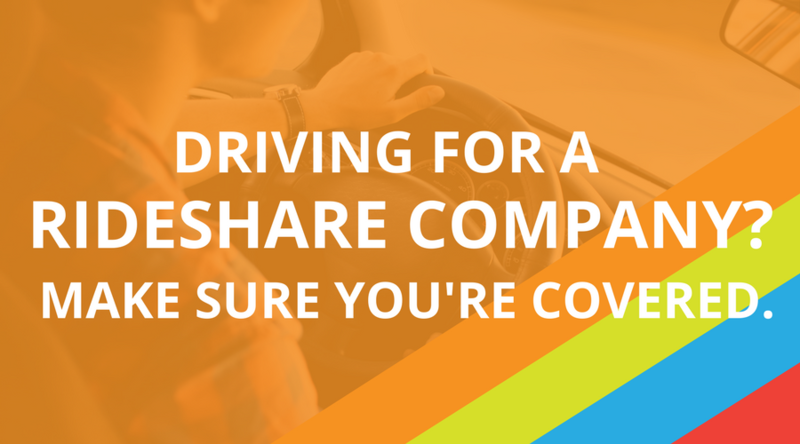 It is important to ask your insurance agent what coverage options are available to you, specifically for the ride share endorsement.